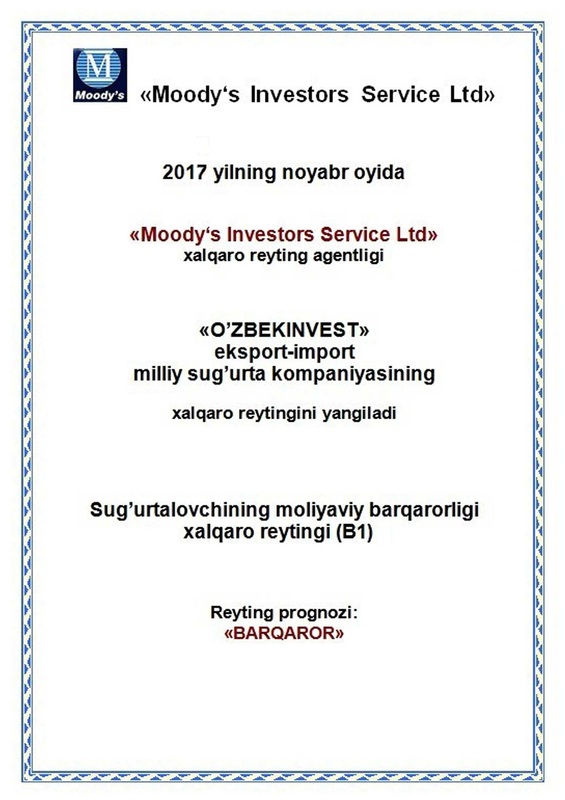 The only insurance company in the republic having B1 rating with "Stable Outlook" assigned by the Moody’s Investors Services Ltd. international rating agency. 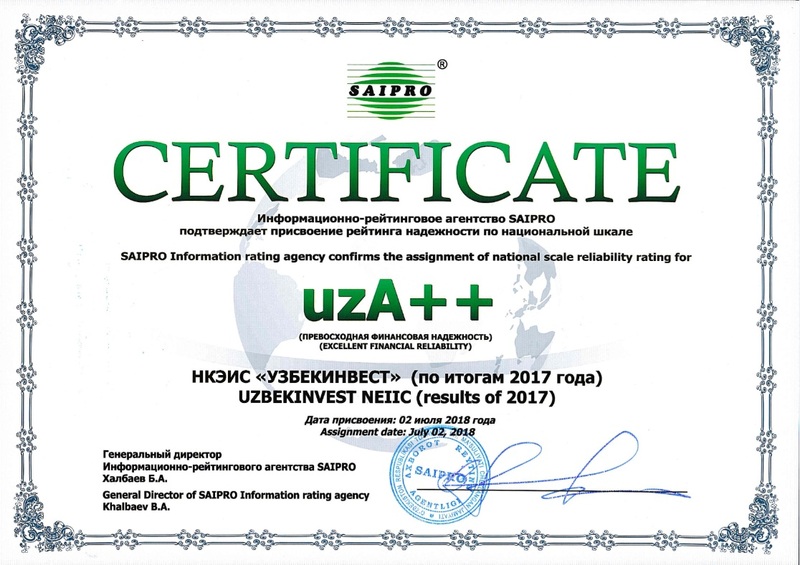 Reliability rating by the national scale at uzA++ (“Excellent Financial Reliability). 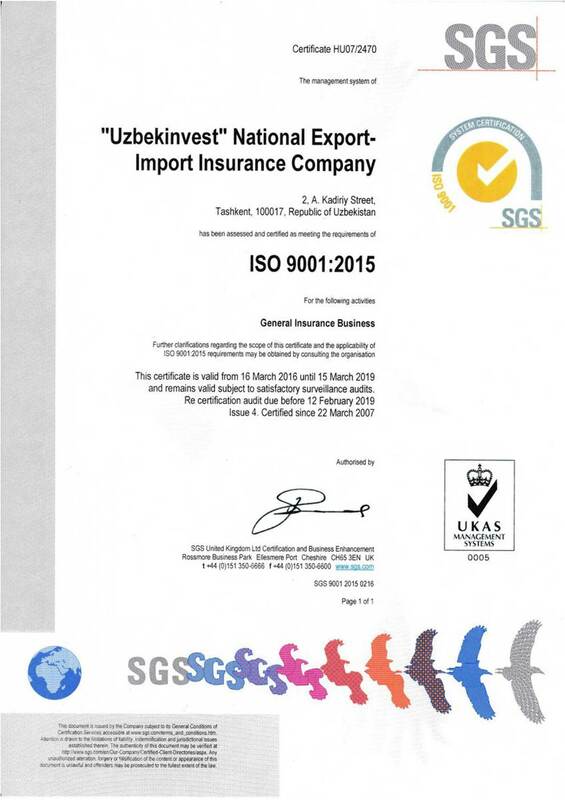 First company among organization in Uzbekistan to receive certificate of its quality management system’s conformity with the ISO 9001:2015 international standards. License No. 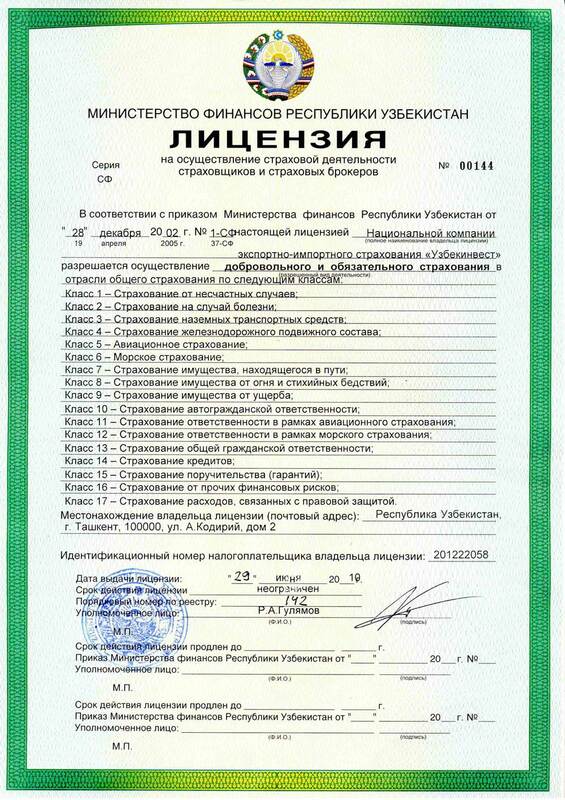 00144-СА for carrying out activities is all 17 classes of general insurance business.